Photographer and filmmaker Mike Olbinski shot 85,000 frames at 8K resolution to make this 7-minute time-lapse film of storms of all shapes and sizes doing their thing. Just slip on the headphones, put the video on fullscreen, and then sit back & watch. A tonic for these troubled times. I hope you enjoyed that as much as I did! Chris. Dust pneumonia is an acute type of respiratory distress that can develop into an infection of the lungs. Typically, it is brought on by excessive exposure to dust and dirt inhalation. Most dust and dirt if inhaled in trace or small amounts will safely pass through the lungs with the assistance of the cilia (tiny hairs in the lungs). With a case of dust pneumonia, the dust travels deep into the alveoli preventing the cilia from moving the dirt through—leading to infection, possible respiratory failure and lung damage. Dust pneumonia is caused from over exposure to airborne dust and dirt particles such as a dust storm or dirt turned up by wind. One of the initial symptoms of dust pneumonia is coughing. The cough is the body’s natural response to forcing dirt and debris out of the airways and lungs. Beginning as a dry cloth, the lungs work against the debris and uses mucus to attempt to force the dirt and particles out. Once dust and dirt enter the lungs, cilia are unable to move freely and combat the particles out of the body allowing the dirt to take over. Debris then rests inside of the lungs and can even cause the cilia to stop moving. This is when infection is likely to set in. Initially, heavy mucus is coughed up along with the dirt giving it a mud-like appearance. Mucus may also begin to turn yellow and green. Wheezing is another symptom of dust pneumonia. Wheezing is a type of whistling sound that is heard each time someone takes a deep breath. As a symptom of dust pneumonia, wheezing is caused by the buildup of fluid and debris in the lungs. The wheezing is caused from the air passages inside the lungs constricting—making it more difficult to breathe. Chest pain is a typical symptom of dust pneumonia. The chest pain can be caused from the additional debris inside of the air passageways or lungs or it can be caused from constriction or both. Chest pain is a very serious sign of advanced pneumonia and should be an indication to seek medical help immediately. Pain can occur when coughing, breathing deeply or when the body is lying down. Fever is a sign of advanced lung pneumonia. 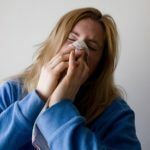 Any fever over 100 degrees Fahrenheit should be evaluated by a physician—especially if other symptoms such as cough, colored mucus and wheezing are present. The fever is one of the first indications that there is an infection present. Fever is the body’s natural way of fighting off an infection or other foreign substances in the body. Septic shock is an advanced symptom and condition caused by dust pneumonia. Septic shock is caused when an infection spreads into the blood stream or other parts of the body—causing the body and its organs to eventually shut down. This is a life-threatening condition that develops once an advanced infection in the lungs has spread to other parts of the body. The patient must be hospitalized and placed on a high dosage of antibiotics and fluids to assist with recovery. dust covers your clothes, body, and equipment as you work. you cough a lot and have trouble breathing. Once dust has damaged the lungs, there is no way to reverse the damage. Dust is a threat both to mineworkers and to communities near mines. The most dangerous kinds of dust are coal dust, which causes black lung disease, and silica dust, which causes silicosis. Dust that contains asbestos (which causes asbestosis) or heavy metals is also dangerous. Black lung disease, silicosis, and asbestosis, are serious conditions with no cure. It is best to prevent exposure to harmful dust. Because these diseases worsen very quickly, by the time you have signs all you can do is keep the disease from getting worse. If you have any of the signs above, or have been exposed to these kinds of dust, see a health worker right away. Because smoking greatly increases the risk of lung damage from dust, it is particularly important that miners do not smoke tobacco. Black lung is caused when coal dust blocks the lungs, causing severe and permanent breathing problems. Underground coal miners, and children and women who work separating rocks from coal, are most affected by black lung. Silicosis is caused by exposure to silica dust. Silica is a common mineral released from sand and rocks during mining, exposing many miners to harm. Black lung and silicosis cannot be cured. But you can reduce the suffering they cause. Drink plenty of water to help loosen mucus from the lungs. Keep breathing passages open. Fill a bowl with steaming hot water and strong-smelling herbs such as eucalyptus, oregano, mint, or thyme. Put your head over the bowl, cover yourself with a towel or cloth, and breathe the vapors. Do this for 15 minutes at a time, several times a day. Medicines called bronchodilators can help open the breathing passages. The kinds that are inhaled work fastest. Hospitals may give oxygen to help a person breathe more easily. Some people believe dairy foods like milk, cheese, and butter make mucus thicker and more difficult to cough up. If eating these foods makes you feel worse, avoid them as long as you can get good nutrition from other foods. IMPORTANT! It is not true that drinking alcohol clears the lungs of dust. Drinking alcohol only makes health problems worse. Thanks Hesperian Health Guides for this information! The Queensland government has introduced new accreditation standards for people conducting the compulsory lung function test on the state’s 30 000 coal miners, as part of its reform to tackle black lung disease. “The new standards will ensure quality tests, so if a coal mine worker has lung function issues, those signs will be picked up immediately,” Natural Resources and Mines Minister Dr Anthony Lynham said on Wednesday. The Thoracic Society of Australia and New Zealand, the region’s leading lung health peak body, will develop the new standards, which will come into effect by the end of 2017. These standards will set out clear requirements for medical practices conducting the tests, including training for staff members, spirometry testing and interpretation, spirometry equipment, and quality control. Lynham said an independent body would be appointed to check standards and accredit medical practices conducting the tests. The changes flow from the independent Monash University review into the Coal Mine Workers’ Health Scheme. As an immediate response to the review, practices have been required to meet the requirements set out in the QueenslandHealth guidelines. However, the review recommended additional training for individuals conducting the tests, the use of accredited facilities, and ongoing quality assurance. The revised screening programme implements these recommendations. Coal miners’ compulsory chest X-rays have been assessed at least twice since July, first by an Australian radiologist and then by US-based experts. By the end of this year, both checks will be done by qualified B-reader Australian radiologists. “These important reforms will work in tandem with the dual-reading of coal mine workers’ chest X-rays to ensure lung health issues are identified early,” Lynham said. Other reforms in place from the Monash review include coalcompanies providing dust monitoring data to the Mines Inspectorate every three months for publishing online, black lung becoming a notifiable disease, meaning miningcompanies must report known cases to the QueenslandMines Inspectorate, and coal mine workers permanently retiring from the industry being able to ask their employer for a retirement examination, including respiratory function and chest X-ray. The Queensland Resources Council (QRC) has welcomed the latest reforms, with CEO Ian Macfarlane saying the industry is fully cooperating with government to ensure the medical assessment system is improved and industry operates under best practice so that this disease is eradicated. “Everyone involved wants to right the wrongs of the past and we want to make sure that we detect cases and this is a major step forward to correct what was previously deficient in the assessment of lung function,” Macfarlane said. Since May 2015, 21 Queensland miners have been diagnosed with coal workers’ pneumoconiosis, which is caused by long-term exposure to respirable coal dust. 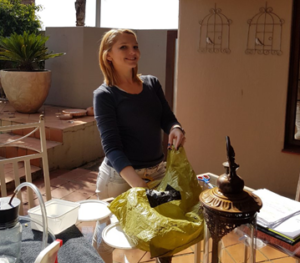 Dust watch cc (www.dustwatch.com) conducted fallout dust monitoring training course in the Avenue Guest House (www.avenueguesthouse.co.za)www.avenuesguesthouse.co.zawww.avenuesguesthouse.co.za, Moreleta Park, Pretoria, South Africa from the 30th May to the 1st of June 2017. 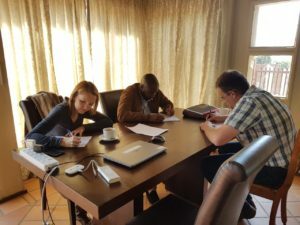 This is the second training course to be conducted in Pretoria this year. 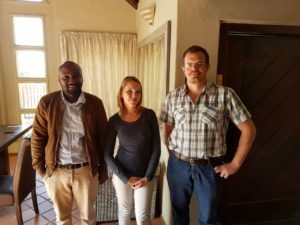 A total of 3 personnel attended the training: Maemo Levy Mashele, Yolandie Coetzee and Andries Koekemoer. The training kick-started on Tuesday 30th of May 2017 with a theoretical presentation by Mr. Christopher Loans. 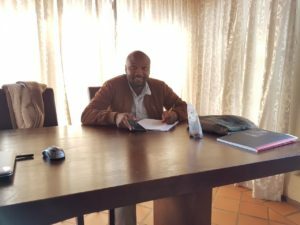 The presentation was about fallout dust and how to collect it, settling velocity and shape of dust particles, calculating fallout dust monitoring results, trace elements analysis, as well as South African legislation interpretation. 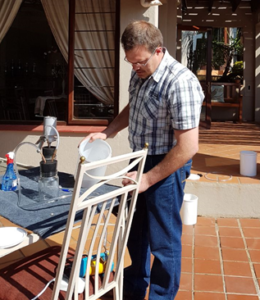 Wednesday the 31st of May 2017 was a practical day where trainees were working with DustWatch Bucket units (Basic Operational Use of the DustWatch Units), filtering water from the buckets and collecting dust on filters for further analysis. 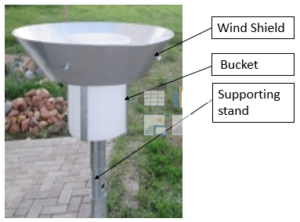 Figure 3: DustWatch Single Bucket Unit used for dust fallout collection. The last day, Thursday the 1st of June was about learning to write Fallout Dust Reports and laboratorial procedures for data capture. An assessment test was written and all trainees performed outstandingly well. Puzzling skiers, occasional brownish-yellow plumes waft over Colorado ski resorts during winter and spring. Instead of wondering, researchers led by scientists at Pacific Northwest National Laboratory decided to get to the bottom of the plumes’ source and content. 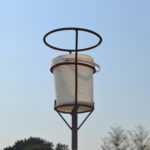 Their research, now published in the Journal of Atmospheric Sciences found that the plumes hold countless dust particles carried from remote desert areas in Asia and Africa-dust from thousands of miles away travels to the western United States by high-altitude winds over the Pacific Ocean. The researchers also found that the atmospheric lifetime of the larger-sized dust particles is longer than expected. Climate models had always assumed the largest particles would fall out and not be transported such long distances. Many atmospheric processes, such as long-range transport of particles and their removal from the atmosphere by rain and snow, largely depend on the size of the particle. Just by their size, large particles are seemingly more susceptible to this removal than smaller ones. Climate models use a simplified representation of these complex and size-dependent processes for efficiency’s sake. 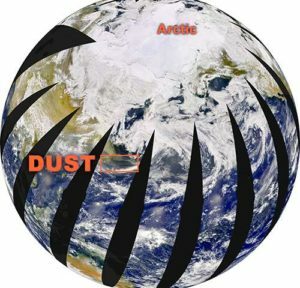 In particular, climate model’s predict that the dust particles with large sizes may remain suspended in the atmosphere only over relatively short distances, traveling only hundreds of miles away from their origin. This study provides new insight into the evolution of large dust particles during their trans-Pacific voyage from Asia and Africa. The surprising conclusion is that these particles may remain suspended in the atmosphere much longer and travel for remarkably larger distances-thousands rather than hundreds of miles as the models predict. The results provide important data for scientists to fine-tune the models with the most recent understanding of atmospheric transport. PNNL researchers teamed with collaborators from the University of Nevada, University of Wisconsin, Desert Research Institute, and National Oceanic and Atmospheric Administration to identify and characterize a major dust event at the high-elevation research sites in Colorado using an integrated, ground-based dataset of aerosol properties and sophisticated high-resolution simulations of dust evolution using a chemical transport model. The researchers complemented their dust event characterization by analyzing the corresponding low-resolution simulations from a climate model, satellite observations, and additional ground-based measurements in Asia and the western United States. The team compared their high- and low-resolution simulations to demonstrate a better match for both the ground-based and satellite data. The new modeling framework-with strongly linked observational and modeling components-has the potential to estimate uncertainties of climate model predictions associated with transport-related processes. The team plans to apply this framework to various climate-important regions wherever integrated, ground-based aerosol property datasets are available.